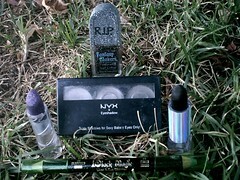 Nothing says Halloween like a good graveyard. You can create an awesome display with these props. 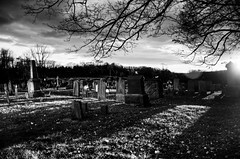 Graveyards and Halloween go together almost as well as milk and cookies. Every scary movie needs a spooky walk through a creepy cemetery. 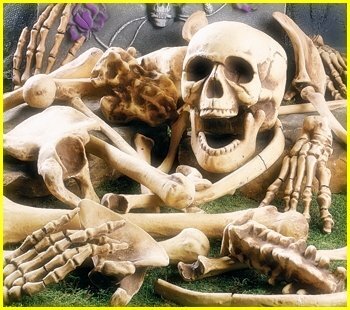 You can recreate that feeling for your trick or treaters by turning your yard into a burial ground for the undead. 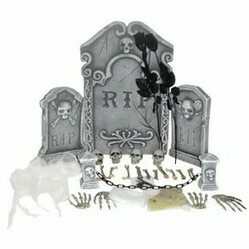 There are numerous prop kits that include tombstones, fences, and ghouls. 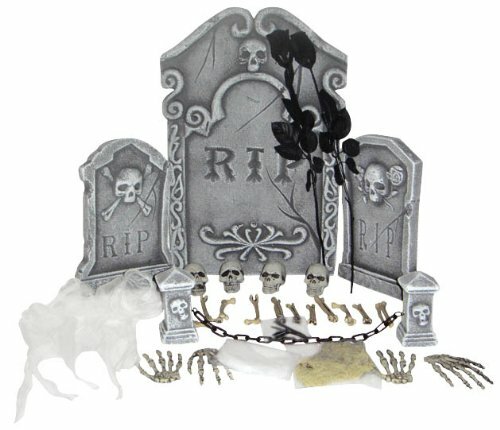 Spread around a few skeletons and skulls and the kids will love your house. 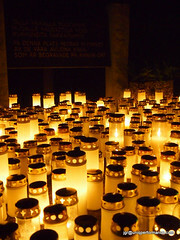 The best thing about graveyard displays is that they are just like real cemeteries. They are creepy in the daytime, but become scary at night. This 31 piece kit will help you begin turning your yard into a bone yard! These pieces are made to be displayed outdoors. Buy now because these will become hard to find. 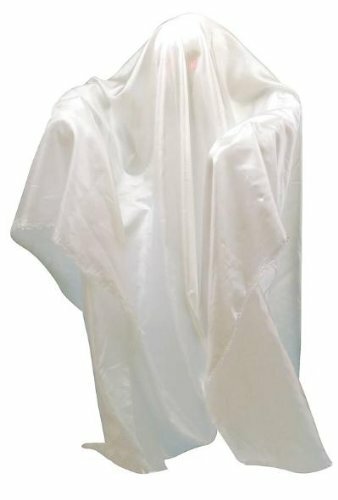 This ghost is designed to hover around outside in your graveyard. Not to worry, he is just visiting some friends for the holidays and won't be haunting you year-round. Another popular feature that will enhance your display is to have a ghastly ghoul rising from his grave. 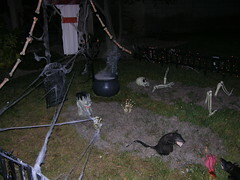 These props have the undead appearing to be climbing out of the ground. Some displays actually have moving features to enhance the realism factor. You can also have a ghost or two “hanging around” visiting their friends at the bone yard. This ghoul is just coming to get some candy. 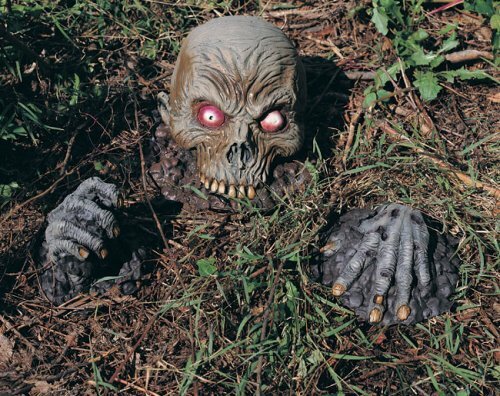 The set includes two rubber hands and a rubber skull, ensuring that the zombie will be coming out of his grave for years to come as part of your outside display. These books are a great place to get ideas for Halloween. Inflatables are not just for Christmas anymore. Some other great sources of Halloween supplies! Halloween Costumes The Halloween Mart is a great source for costumes and accessories! Halloween-Mall - Shop Halloween-Mall.com Visiting the Halloween Mall is like going to a real mall with just Halloween themed stores. A great source for costumes, props, displays, and more! This bag of bones literally comes in a mesh bag. This will help contain the 28 pieces that are 6' to 12" long that will look great strewn around your yard. As the sun is fading, your graveyard will appear more sinister. Fog machines and lighting can greatly enhance the display. Make sure if you use a fog machine that there are no hidden hazard that might trip or endanger smaller trick or treaters. Spooky music can also provide another stimulus to increase visitor’s enjoyment. Just remember to be considerate of your neighbors. This fog machine will be sure to keep your graveyard display foggy and spooky. Remember that you must consider how much area you are trying to cover with the fog. Some fog machines are designed to use indoors in limited spaces. make sure you are not disappointed by doing a little research. 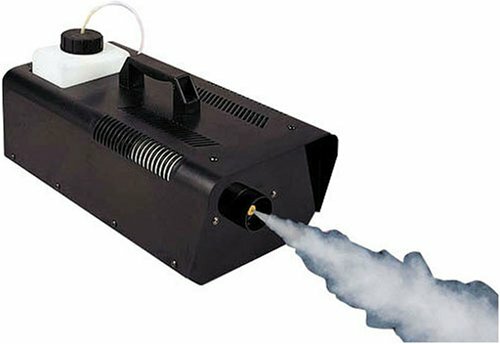 Read product reviews for the fog machines and also fog solutions. A little planning goes a long way. This article lists books that will help you plan an effective Halloween display that you will be proud of.